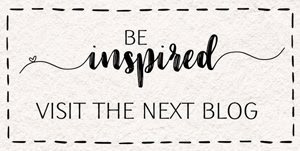 Today is a bit of an exciting day, I am the new kid joining the *Be Inspired Team*, a group of fab and talented bloggers from all over the world. We will be hopping twice a month and this month's challenge was to use Patterned Paper to coincide with our current promotion of Buy 3 packs Get one FREE. 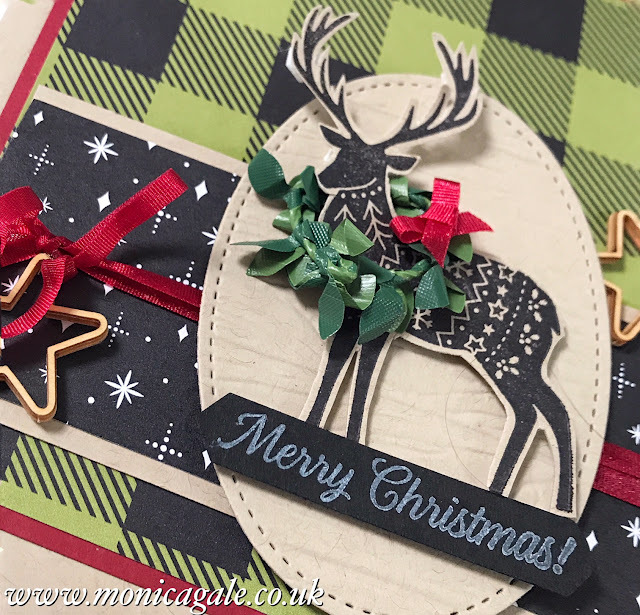 That's not too hard I thought, and this is what I ended up creating after finding inspiration from a similar card on Pinterest (which of course I can no longer find, to show you) . Isn't it fab? I chose the yummy Merry Little Christmas designer paper, and let me tell you I don't think I ever loved a paper more. The black and white goes with everything and the green pairs beautifully with reds or pale blues so its really versatile in terms of getting more than one look from just one pack, plus you can colour the black background one to whatever colour you wish. The stamp set I choose is called Merry Patterns and apart from being drop dead gorgeous, is FREE with a qualifying order until the end of this month. If you want him, I would be delighted to arrange an online party for you where you invite a few of your crafty friends who will place some orders and help you get this free set as a host reward. You can message me for more details here. I stamped the stag in black ink onto Crumb Cake card then cut him out, carefully as to not damage his proud antlers. 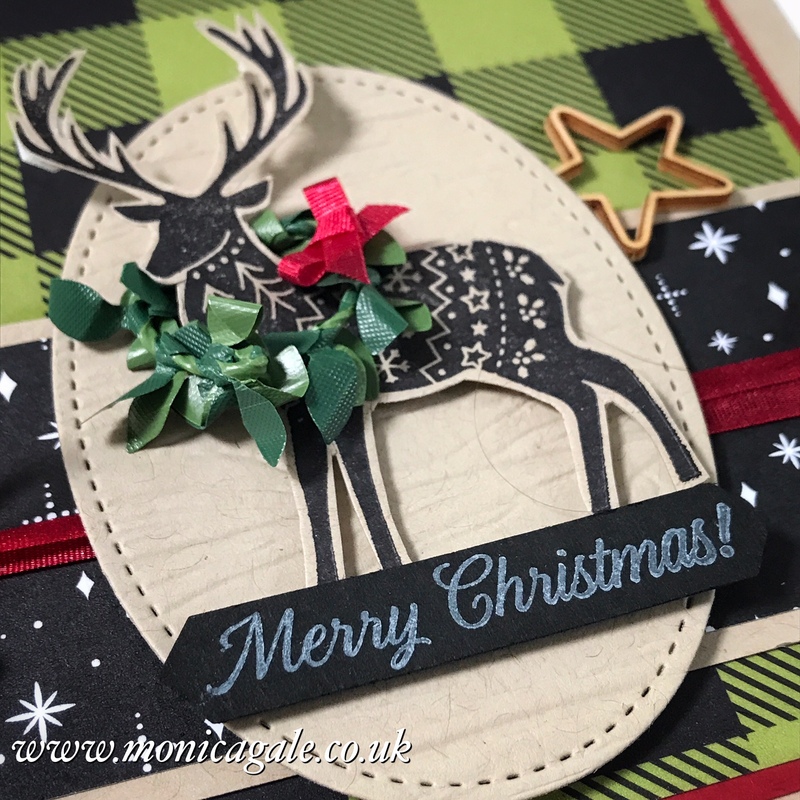 I then placed him on top of a simple oval frame cut with the Stitched Shapes Framelits, and embossed with the Woodland Textured Folder. I wrapped some of the Real Red 1/8" ribbon around the mat and after tying into a bow I scorched it lightly with the heat tool for a really pretty wavy effect. I will be doing a Facebook Live Video on this tomorrow night at 20.30 so if you are not following me you might want to do so by clicking here. Once these steps were completed I added a few darling stars from the Hearts & Stars Elements pack and called it a day. I hope you enjoyed my project today, and thank you for your visit. Now hop over to Carolynn to see what delights she has in store for you. This project is absolutely stunning, Monica! What a beautiful showcase of this paper and an amazing layout on this card. It shows the set and all these amazing accents perfectly. Happy to hop with you today. 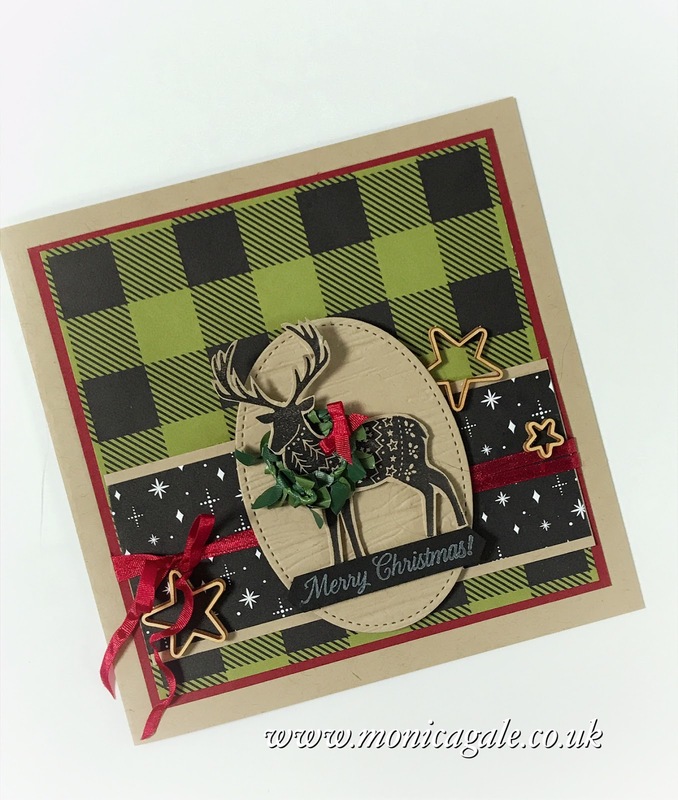 Love everything about this awesome card, but especially the deer with the wreath around his neck! I just love your design aesthetic! What a great card. So glad you are hopping with this group!